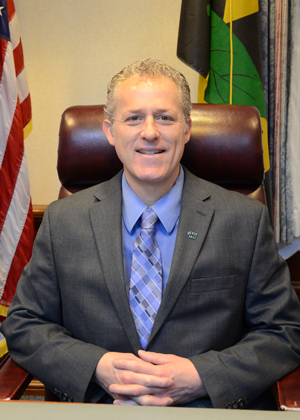 County Commissioner Steven R. Weems is serving his third term as commissioner. He was first elected as an at-large representative on the Calvert County, Maryland, Board of County Commissioners in 2010 and served as board vice president in 2014 and as board president in 2015. Commissioner Weems is a businessman with over 29 years of experience. He received his bachelor of science degree from Frostburg State University. Commissioner Weems operates Wemyss Liquors in St. Leonard, the oldest family-owned liquor store in Calvert County. He has been an active supporter of many charitable athletic and educational organizations and activities throughout Calvert County. Commissioner Weems resides in St. Leonard with his wife and family.